Eddie suspected this all made the PM look a little like a loony right-winger, or at least like a PM kowtowing to a bunch of loony right-wingers on his backbenches. But instead of stating it outright he asked what moderate pro-EU Tory peer Lord Heseltine had said on the issue. The comment induced a hail of laughter from the rather mean righties on the Tory benches who see grandee Heseltine, nicknamed Tarzan in-part because of his wild hair, as a figure of fun. 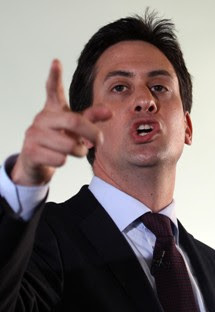 “Oh, Oh, Oh,” said Ed managing to bend his mouth into such a perfect circle that it could have been used to mint a one pound coin. “Oh Mr Speaker, oh how significant,” he continued. “That’s what they think of Lord Heseltine now in the Tory party,” added Miliband finally getting his own back for the Blair botch. 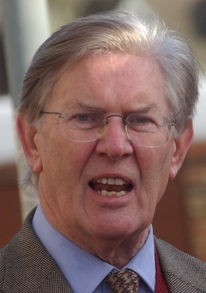 That member is of course Stone MP Bill Cash – arch eurosceptic, arch agitator for his cause, arch thorn in the side of successive Tory leaders. And for one golden moment you could see the thought fancifully dancing about behind his eyes – ‘the Conservative Party of Bill Cash’. What a glorious day it would be when that party came to power. An immediate embargo slapped on Croissants, mange tout renamed ‘flat beans’, peppered German salami vetoed – every Englishman waking up every morning drinking English tea with his full-English breakfast – hurrah! I'll post a link to the full column tomorrow night. DPM: The coalition government is here to stay. On Europe, what I’m going to do is this – build bridges, re-engage, and make sure that the British voice is heard at the top table in Europe. Why? Not for the sake of the EU as a whole, because I think that is the right thing for jobs in this country, for growth in this country and for the livelihoods of millions of families in this country because that’s what I care about most. DPM: The PM and I clearly do not agree on the outcome of the summit last week. I made it very clear that I think isolation in Europe when we are one against 26 is potentially a bad thing for jobs, a bad thing for growth and a bad thing for the livelihoods of millions of people in this country. I’m not here to defend the EU in and of itself; I am here to defend the jobs and livelihoods of millions of people in this country. That’s what I care about and that’s why I think what we need to do know is build bridges, re-engage and make sure that the British voice is heard loud and clear in the heart of Europe. DPM: I haven’t changed my mind on that at all. The specific list of safeguards which were sought, which was a list of negotiating asks, were perfectly reasonable and perfectly measured in their scope. I haven’t changed my mind one bit from the moment the summit was closed. DPM: When I was told the outcome of the summit, after it finished, I immediately told the Prime Minister that I could not welcome it, that I thought it was bad for Britain. I have stayed with that view since, and I have simply amplified on my reasons for that since the summit. DPM: The Coalition Government is here to stay. That’s absolutely clear. 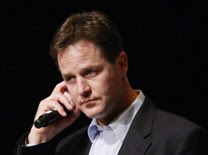 On this issue – and by the way, there are many issues, of course, in the Coalition where the parties differ – we differ, and it so happens to be that this is a particularly significant issue. Why is it significant? It’s worth remembering. Not because all things in the European Union are perfect, far from it, but because I think that being isolated - as one - is potentially bad for jobs, bad for growth, bad for the livelihoods of millions of people in this country. But the Coalition Government is here to stay.